100% my type on paper. So, we are 8 weeks in. The student loans are starting to run thin, we’ve realised we might actually have to read and we are reminiscing about Freshers Week – when we didn’t have a care in the world. Well, say no more, I’m here to help. This is a review of one of my favourite moments of that blissful first week. I’ll start by saying, it’s no secret that I am a dedicated, loud and proud, Love Island fan. Been there, got the water bottle. The truth is, it is such a comfort. Stressed during exams? Love Island. Date night? Love Island. Broken heart? Love Island. So you can understand my excitement when I saw just who was coming to our Freshers’ Week. The winners themselves, our nation’s heroes – well, that’s probably an exaggeration – Jack and Dani. Result. Southampton, you’ve won me over. I didn’t think it could get much better. And to top it all off, it was only a fiver! Bargain. Now, SUSU, I was putting all my eggs in one basket with you here. There was no way I was going to miss this, but I could only hope it was going to be an unforgettable night. I had no alternative for my hump day Fresher’s celebration. And I had bought enough glitter to last a lifetime. So. Much. Glitter. I was ready to crack on with the night. Heading down the stairs to The Cube, a busy and bustling line of excited and frenzied Freshers was building, with no sign of the people they were queuing up to see. Playing it cool, my friends and I decided we would just like to see love’s young dream, but we really didn’t need to get in the line. Why would we, when we had the likes of The Mac Twins waiting for us downstairs. This was honestly one of the best sets I have ever listened to. As they say on Love Island, “I’m not being funny but…” I have honestly never danced so much in my life, and for so long. Nor have I stood that close to the speakers and not been at all bothered by the extreme volume. It didn’t matter when The Killers, ABBA, Oasis and the Kings of Leon were all being played, when that familiar feeling of your heart beating in time with the music starts to make an appearance. After endlessly checking my phone, scrolling through their respective social media accounts and stories, I was none the wiser as the clock struck 9:00 if Jack and Dani would actually be making an appearance. But as my mates and I flocked to the dance floor, somehow it didn’t matter. DJ Adrian Murphy was banging out some “peng sort” tunes, glitter was everywhere, and as the music blared from the speakers and the crowd started roaring, we almost forgot the reason we were there in the first place. It was about half way through The Mac Twins’ set that we thought we would dash up the stairs to see if we could see Jack & Dani, still hoping they weren’t going to pie us off. But, to our disbelief, and amazement, there they were, with a line so short that we could hardly resist a picture. I should mention it was at this point that my composed and collected attitude crumbled and I was a complete “Jani” fangirl. Essentially, as the Islanders usually say, I turned into a total “melt”. No, it was not my proudest moment, ladies and gentlemen, but it was very exciting. I was buzzin’ to be in the presence of those two. What a night. Imagine now, that we have been summoned by a text around the fire pit, and it’s about to get real. SUSU, you did not let us down. You do not need to graft anymore for the Freshers’ attentions, we loved it. The Mac Twins turned our heads, Jack & Dani were proper “cutesie”, and not only were we very happy the Islanders didn’t mug us off, but we were also delighted that they were (please read in the voice of Gee) “loyal babes”. The verdict? We put our eggs in the right basket! 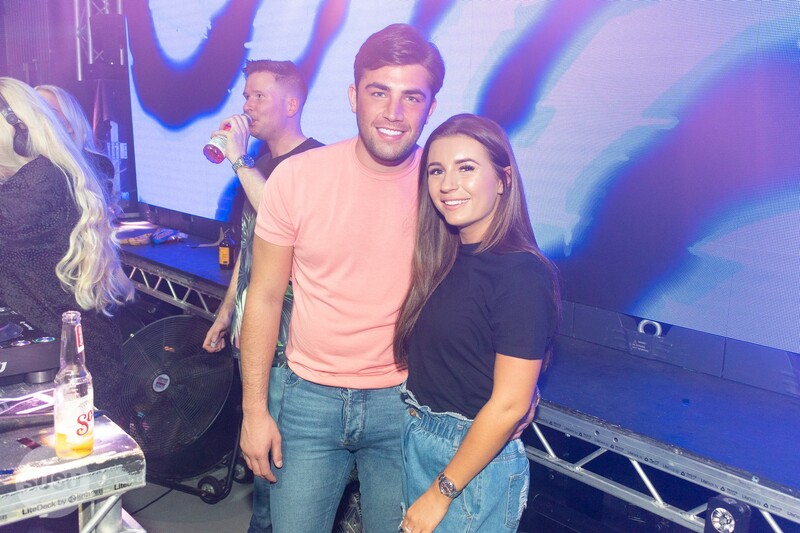 Check out Jack and Dani in action on Love Island below.